Without even knowing it, I became a doula several years ago. Through a church ministry, I prepared and delivered meals to new moms. When I delivered the food, I found myself nurturing the new mother and her newborn baby and this came very naturally to me. I brought comfort, companionship and gentle advice to the new mom and her family. When the timing was right, I ventured out and got the training and certifications I needed to become a professional doula. As a mother myself, I understand and am sensitive to needs of the new mother and family. Being a doula has brought me to the homes of various types of people. From Hollywood writers and executive producers to policemen and teachers. I am grateful to all those who have allowed me to be a small part of this monumental occasion. 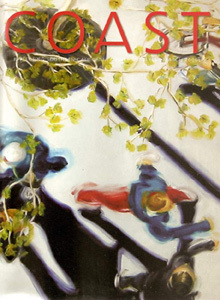 Click here to read an article featuring Marcy Sauter in Coast Magazine. Contact me today to learn how I can help you and your family with your postpartum doula or infant specialist services in Orange County and Los Angeles, California. 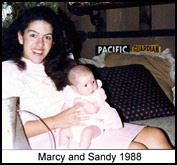 Marcy Sauter offers postpartum doula and baby nurse services to families with newborn or multiple babies. She offers her services to those in the Los Angeles and Orange County, California area.